As a fairly new blogger, I found Google’s Blogger application extremely easy to use, so it was the perfect solution for me when I had to quickly throw up a site. Days later, when I wanted to change the address from blogspot to a custom domain, I followed the easy instructions in Blogger settings, and Google handled everything with no hassle. Once I checked the availability of the domain name I wanted to use, it was ‘automatically’ attached to my new Blogger site. However, months later, after building a customized WordPress site (i.e. this one! 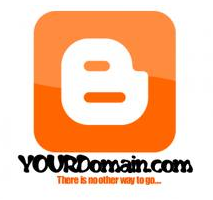 ), I wanted to launch it on my domain name purchased through Blogger. I quickly discovered, this wasn’t going to be easy! The problems began when I couldn’t even find my DNS settings anywhere in my Blogger dashboard. Here’s what I had to do! First, identify who your domain host is. Google may not have told you, so you’ll have to click HERE and enter your domain name to find out. Your domain is registered with godaddy . If you want to change advanced DNS settings or update your WHOIS information, you can access godaddy ‘s DNS control panel. Changes to your advanced DNS settings, such as MX and CNAME records, may disrupt any Google services that you’ve activated for your domain. Once you’re in your Google Apps website as the GoDaddy administrator for your own domain name, you will have access to DNS name servers which you can then change. Make sense? Whew! Wish someone had told me what a hassle it would be to transfer the domain name. Even after all this, I discovered it still takes a while for all the DNS servers to propogate all the ISPs so your new site will appear. Good Luck! Hope this helps! This entry was posted on Thursday, December 16th, 2010 at 12:18 pm	and is filed under Technical Information. You can follow any responses to this entry through the RSS 2.0 feed. You can leave a response, or trackback from your own site.